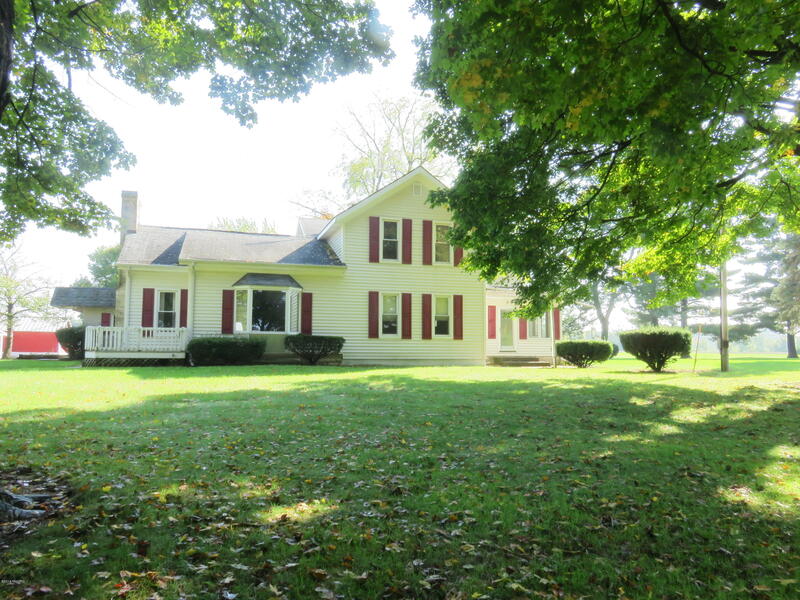 Mini Farm with 23 acres and pond in Edwardsburg Schools! Plenty of room for a growing family .Two story home with 3, 939 sq.ft. 4 bedrooms, could be 5 if you remove the mini kitchen upstairs. Beautiful hardwood floors in the upper level. 3.5 baths. You will love cooking in this beautiful oak kitchen hand crafted by Ayre's in Nappanee. There is an additional 950 sq.ft. 1 bedroom, 1 bath guest house that has lots of possibilities. The out buildings can satisfy everybody needs in the family including farm animals, hobbies, or car collectors. Out Buildings include 32 x 56, 32 x 64, 24 x 40 with lean-to 24 x 40 , 28 x 22 garage attached to the barn and 40 x 24 , 28 x 28 garage area. No shortage of storage here! Make this your family dream home with a little updating. Treeline borders the property. Bedroom 5: Has Kitchen, Hardwood Fl.